It is designed for women in business, women who are taking a break to concentrate on family or those of you who just want a fun night out to network. Since 2005, Julie has held the position of Head of Marketing for 7-Eleven Stores Pty Ltd. Julie is responsible for all elements of the marketing mix including research, category management, store design and advertising. 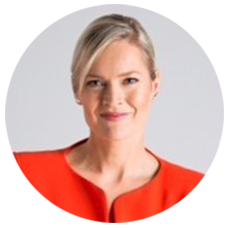 Julie offers fresh insights on women in business and is also a member of the Australian Institute of Marketing. The first woman Director appointed at Honda Australia, the second woman to hold the position globally. Carolyn will share how she has pressed for progress within the male-dominated automotive industry and share insights which Bayside women can use in small business or within their sphere of influence. Felicity has a long record of community service in Bayside, inspiring woman in leadership. She is passionate about women stepping into public life. Felicity will share how we can press for progress at a community level. Martine is a dedicated gender equality and diversity advocate, awarded a Gold Quill for excellence. Bayside resident and judged Telstra Business Woman of the Year, Vic. 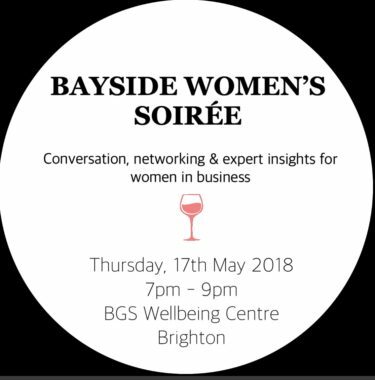 Martine will moderate panel in a fresh, engaging format and use her specialist knowledge to relate the discussion to Bayside. Surplus from ticket sales will go to support the good work of Our Watch, to help end family violence. There will be bubbly on arrival and canapés. 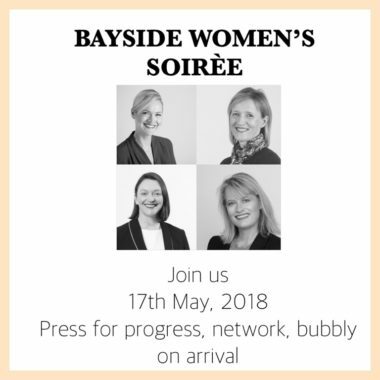 Bayside Women’s Soirèe celebrating women in Bayside Melbourne – book here. The Bayside federal electorate is named after one of the most amazing feminists in Australia’s history Vida Goldstein and it’s home to many exceptional women: captains of industry, entrepreneurs, medical professionals, creatives, educators and change-makers. I recently met Federal MP Tim Wilson and we decided it would be a great idea to collaborate on an event for women, to honour Vida’s work, honour the modern trail blazers in our community and inspire others. Best of all it will be informed, intelligent conversation and fun. Tagged in engaging women events, events.